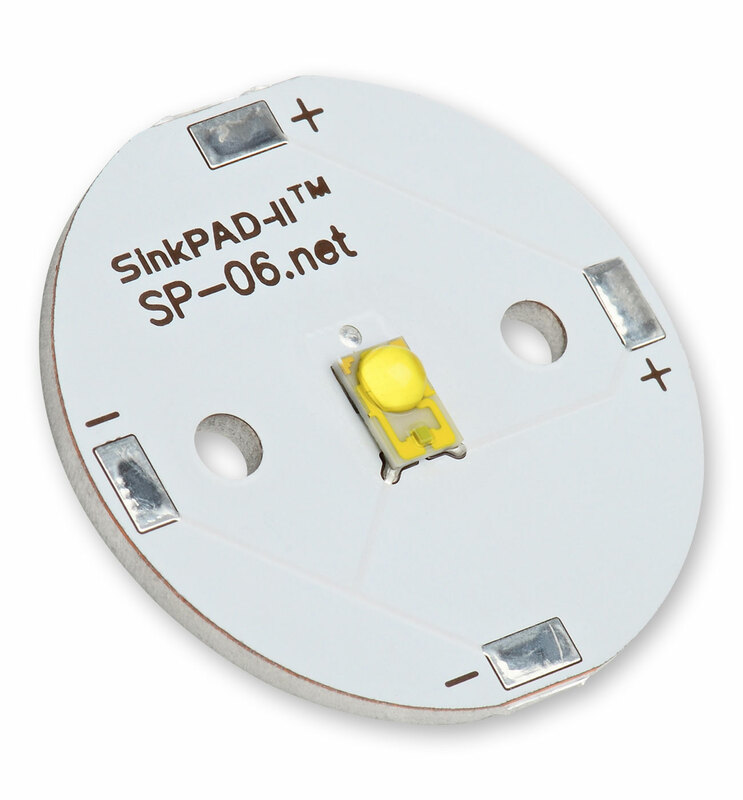 The SP-06-G4 LED module features a single LXML-PM01-0100 Green, Rebel LED soldered to a SinkPAD-II™ 25mm Round base. 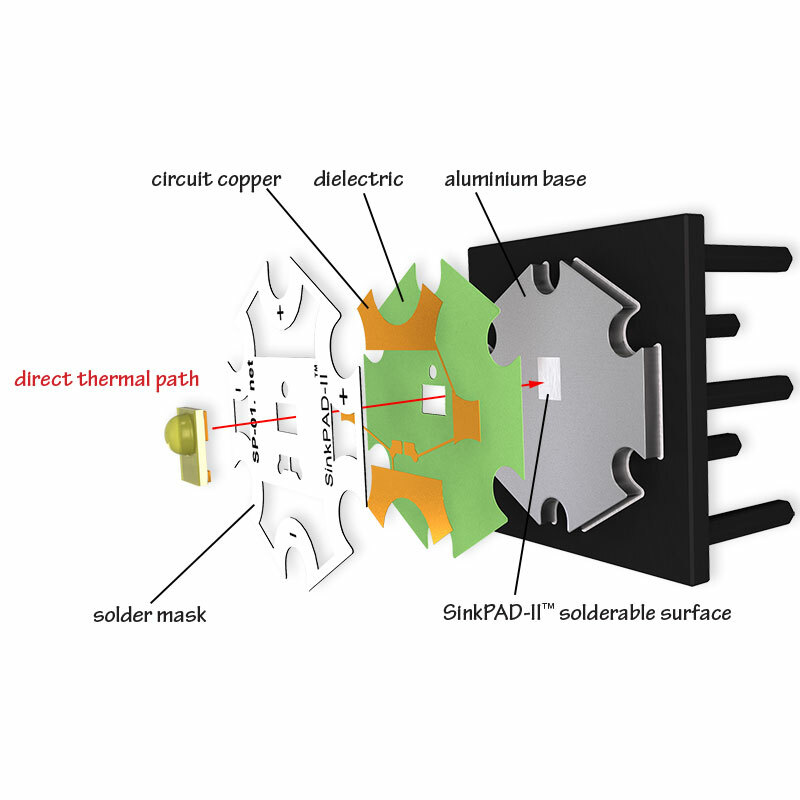 Values based on 700mA and a Thermal Pad temperature of 25 °C. 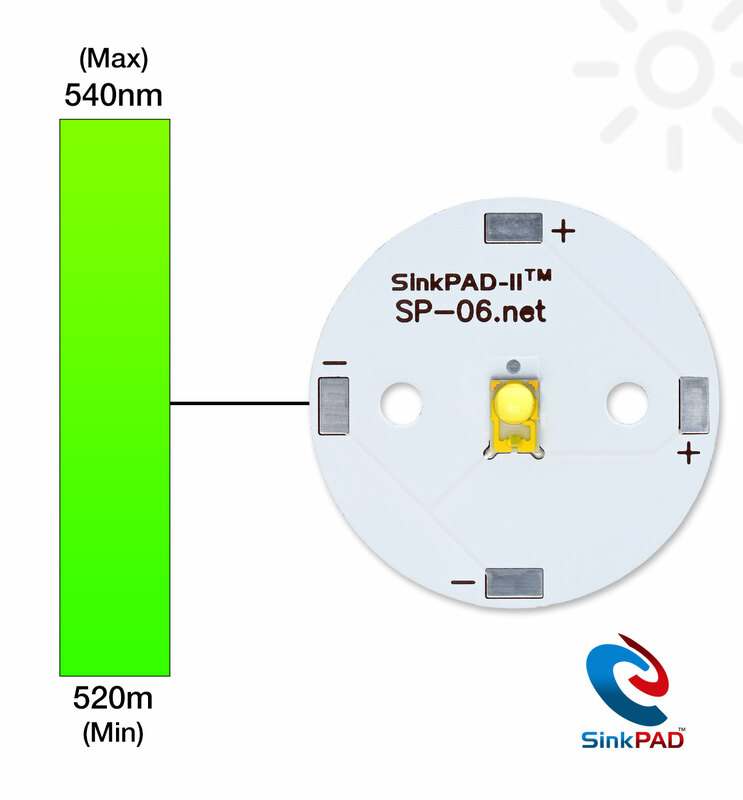 The SinkPAD-II SP-06 LED module requires careful attention to mounting and cooling to ensure that the junction temperature of the LED is kept well below the maximum rating as specified in the LED documentation published by Lumileds. 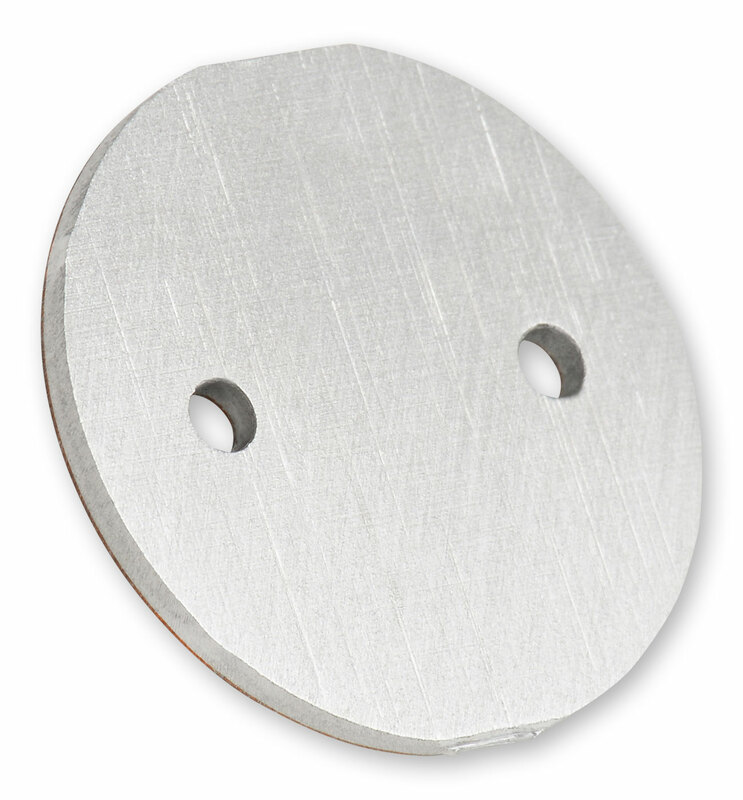 In addition to being compatible with nearly all flat bottomed, single LED optics, the SP-06-G4 is 100% compatible with all 120° to 180° Carclo Hemispherical Bubble Optics. The SP-06-G4 can be ordered in any quantity with quantity discounts available.